The Indian cricket team currently competing for the Asia Cup in the intense weather conditions of the UAE saw three of its squad members namely Axar Patel, Shardul Thakur and the ace all-rounder Hardik Pandya getting ruled out of the multi-nation tournament. The team management has come under scanner of the BBCI officials, which off late has failed to keep the players of the national squad in the best of their physical health. Previously, during the England tour Bhuvaneshwar Kumar and Ravichandaran Ashwin broke down during the course of the fixtures raising eye brows of analysts and fans of the game around the world. The injury management of the Indian team’s support staff was first brought out in the public when India’s ace wicket keeper Wriddhiman Saha aggravated a career threatening shoulder injury and a player of the Punjab state squad, Barinder Sran fell prey to an injury which due to improper treatment became a whirl wind which hasn’t let the player return to the field since late 2016. These events should have been enough for the team management to wake them up and motivate them to take extra care of the contracted players who hold the key to the national team’s success in the game. But their improper workload management has taken a toll on athletes. The recent India-Pakistan encounter saw Hardik Pandya being stretched out of the field after he collapsed on the pitch after bowling the 3rd ball of the 19th over, and the following day was even worse when a press release from the BCCI brought out that Shardul and Axar had also joined the all-rounder in the casualty list. Many of the cricket pundits have blamed the packed scheduling and the excessive travelling of the players during the on-going tournament as the cause of these breakdowns but the board and the team management should also be aware and cautious enough to check the health of their players so that they can do full justice to the national duty they are assigned. Hardik Pandya was the part of the Indian squad right through the England tour and the excessive workload and travelling throughout the season left him in this condition. 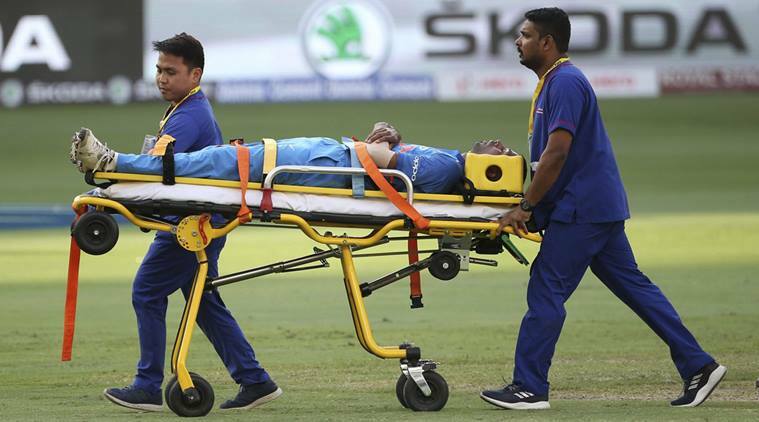 Bhuvaneswar Kumar and R. Ashwin also aggravated their injuries because of the improper diagnosis of their ailments and insufficient rest they were given. Meanwhile boards are busy advocating the packed schedules stating they are important for revenue generation but these back to back encounters are taking a toll on the players’ bodies and if not taken seriously, may end the careers of various talented sportsmen. So, the team management of the Indian side should take care of the scheduling and work load management of their players with utmost seriousness before further damage to their squad and their overall performance in the international arena. Next articleSlow Pitch in the IPL Opener Raises Questions.